When decorating a home, there are various ways that this can be carried out to ensure it is appealing. Some of the most effective methods of ensuring that the home is decorated nicely is to use stamped concrete. In the past, people discounted the employment of this type of ornament because it seemed to be somewhat pricey. Nevertheless, in these contemporary days, a slew of changes have arrive. Versatility is using the area of landscape and house decoration to a complete new level. Good value is added by this type of decoration to your house, giving it a chance to quickly appreciate in worth and making it very gratifying to the attention. 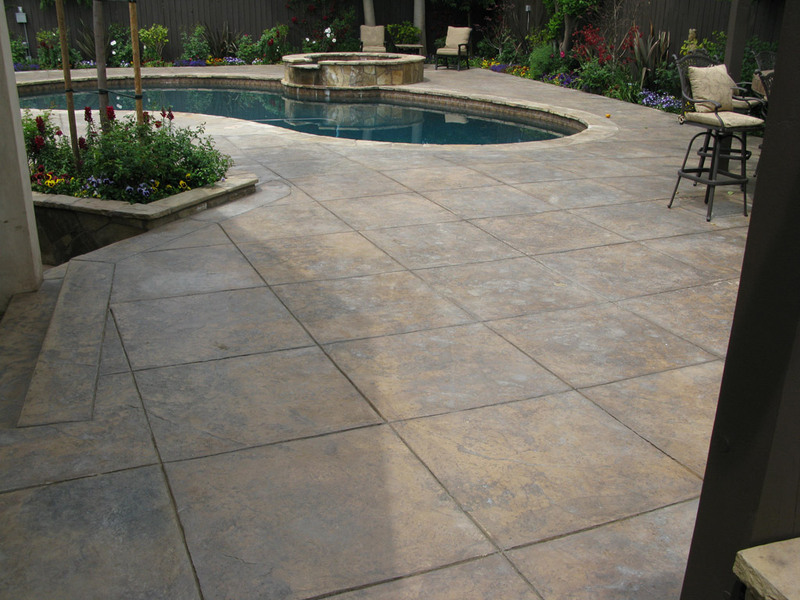 Stamped concrete is a very economical kind of design whether it is an outdoor or indoor house upgrade. This is mainly as it simply entails using simple concrete, which is later finished by producing styles and textures prior to the plain concrete. Many different appearances can be attained by the use of decorative concrete. The best thing about it is that decorative concrete is less pricey compared to other building materials including bricks and flagstones, although the final result is practically exactly the same as with these other expensive substances. ​There really are a good number of advantages to utilizing decorative concrete but the most important is that the looks of their house as well as enable a homeowner to improve the look while saving money. These kinds of concrete designs may also be referred to as the imprinted bricks or the concretes as they are created to appear like bricks, slates, stones and wood thus they're used to beautify also to improve the appearance of the home. These looks also can be accentuated by use of a rainbow color of blends and patterns which will blend well with other building and constructions that are employed to produce a great floorings, driveways or patios layouts in a house or a business building. ​When you've renovated your dwelling with decorative concrete and it is installed correctly by a skilled and professional concrete contractor, you will surely have extra value to your house. Hence, when selling your home, you will add it to the real value of your home and assess all the amount of money you'd used in the redevelopment. 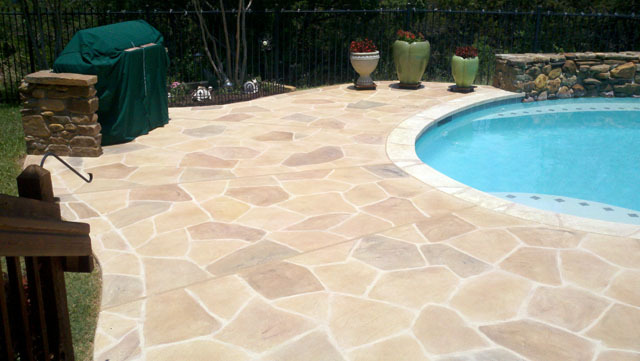 ​Decorative concrete is the process of turning regular flat concrete into a surface that has texture and dimension. With unique stamping procedures and machinery, a simple surface might be given curb allure that accentuates the appearance and marketability of your house, workplace or constructing. Some typical examples of decorative concrete contain textures and embossing to resemble: brick, wood, tile, and slate. ​Some of the major advantages of this process is that the durability and longevity of your concrete area isn't impacted. As a result of new techniques in concrete stamping, we can ensure you that your driveway, sidewalk, patio, pool deck and flooring will not just look good but last for years to come. ​To ensure a natural and potent look, concrete stamping demands a three-stage process that includes adding a foundation shade, including an accent color then stamping your chosen design in the concrete.